After discovering the collaborative blog Femmeuary and ranting about its brilliance and relevance (see previous post), imagine my absolute delight when I received an email from Alice Ash, founder of Femmeuary, thanking me for my review and asking whether they could publish it on their site! And now imagine even more delight because in the late hours of yesterday evening, my double review of Katie Nevison’s ‘Venus Fly Trap’ and the collaborative blog Femmeuary was published on the Femmeuary website (under the title ‘Femmeuary Reviewed’)! Check out the link and see what it looks like, here. Now all I want is to find out if there’s a way to make Femmeuary not simply a February-thing but an all-year-round-thing! This entry was posted in Creative Writing, Editorial, Website reviews on February 18, 2013 by Sarala Estruch. Katie Nevison publishes on FEMMEUARY! Don’t just take my word for it: have a read for yourself, here. When I started writing this post, I thought FEMMEUARY! was an established website and was disappointed (but also excited) when I discovered via their Facebook page that it is in fact not a website but, I quote, ‘a collaborative blog, for those interested, aggravated or enlightened by feminism. FEMMEUARY! is a group for feminists or anybody interested in feminism. We are looking for people to write articles for our blog which will be published throughout, er, Febuary [sic! Ladies, where is the first ‘r’ in February??] and plugged by Sick Chirpse Magazine’. This entry was posted in Creative Writing, Short Story Reviews, Website reviews on February 17, 2013 by Sarala Estruch. This entry was posted in Uncategorized on August 5, 2011 by Sarala Estruch. This entry was posted in Writer's Quotes on August 5, 2011 by Sarala Estruch. 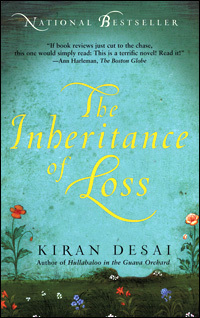 Following the global success of Hullaballoo in the Guava Orchard, Kiran Desai’s second novel is a spectacular oeuvre that has been heralded by critics and readers alike as one of the year’s finest books. Suketu Mehta said of the work of fiction: ‘(It is) a revelation of the possibilities of the novel’, and indeed, for The Inheritance of Loss there seems to be no boundaries. The 395 page volume spans over four generations and two continents. 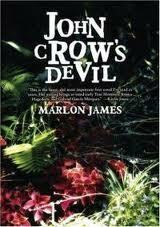 However the quality of this mammoth novel lies not only in its breadth but also in its depth. The narrative not only explores universal themes such as love, hatred, longing and abandonment but also adroitly tackles the most pressing of contemporary issues: economic inequality, immigration, globalisation, post-colonialism, nationalism and terrorism. This entry was posted in Book Reviews on July 4, 2011 by Sarala Estruch. Anticipation was high as a brimming full house sat in The Little Theatre awaiting the rising of the curtains last Sunday evening. The evening was to be the concluding performance of the 25th anniversary season of Jamaica’s Movements Dance Company, and people had flocked out in the hundreds. The curtains opened to reveal a large platform ornamented with a simple backdrop – an abstract medley of brash colours over a large white canvas – and a solo figure sat at the left hand corner of the stage in a hunched position. It was a solemn commencement for what was to be a celebratory evening. 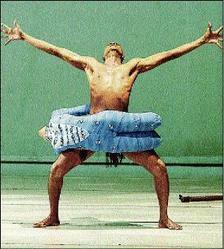 The male dancer soon began to display, through writhing gestures, the tale of his anguish as an AIDS sufferer. A sequence of cinematic ‘flashbacks’ marked with emotive choreography transported the audience into this tragic world. Certainly a pressing contemporary issue, I commend the choreographer, Monica Campbell, for her innovative and daring, if somewhat disjointed piece, aptly entitled ‘Flashback’. This entry was posted in Reviews of Performances on June 22, 2011 by Sarala Estruch.